Tuesday Tunes – And Now…Introducing! 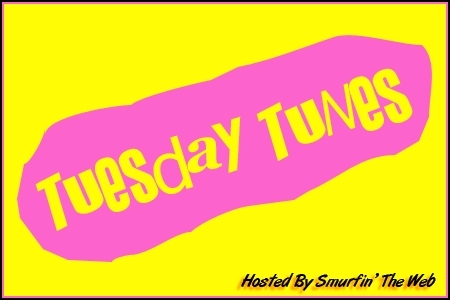 Tuesday Tunes is a music meme hosted by Dale at Smurfin’ the Web. To take part, answer the question and post a link in the comments at his blog HERE. What are the best intros to songs? One of the best intros into any tune ever comes directly from a musical, of all places! I speak of none other than Chess. Written by Benny Andersson and Björn Ulvaeus (yes, the guys from Abba!) and lyrics by Tim Rice & Björn Ulvaeus, it as a surefire thing that One Night in Bangkok would totally rock. It’s sung by Murray Head – brother of Anthony Head (of Buffy fame) and opens the second act of this phenomenal show. And the other one I think really deserves to be right up there with the best of the best when it comes to intros is The Immigrant Song by Led Zeppelin. It’s a short intro, but with that guitar almost beating the rhythm and the screaming vocals echoing out, it’s one of the most striking. Overall, it’s not particularly musically adventurous, but that opening is just great. This entry was posted in Memes, Tuesday Tunes and tagged Domestic Goddess, Memes, Music, Tuesday Tunes. Bookmark the permalink.